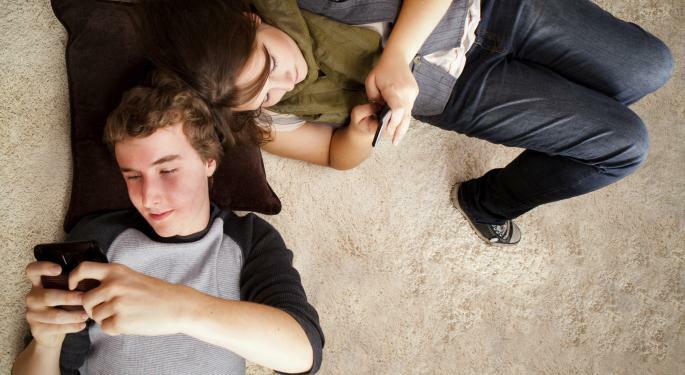 Why Are Teens Abandoning Facebook for Messaging Apps? When Facebook (NASDAQ: FB) CFO, David Ebersman said in a recent earnings call that the company “did see a decrease in daily users specifically among younger teens,” the admission was widely viewed as an indication that while teenagers were still on Facebook, they were not using it as much as before. According to The Guardian, this reflected an ongoing move to messaging apps like WhatsApp, WeChat, and Kakao Talk. The problem seemed to be that Facebook, once the almost private domain of young people, became populated with their parents, teachers and even grandparents. For those “hot boy in third period” conversations, they began turning to mobile apps. In addition to WhatsApp and similar products, teens moved to photo-sharing apps like Facebook owned Instagram and Snapchat. Snapchat is particularly attractive since it deletes photos right after they have been viewed – thereby guaranteeing that what you post isn’t floating around cyberspace for the next century or so. Finally, teens prefer messaging apps because they involve specific communication with specific people – people whose phone numbers they have. The only people who see what you have posted are people to whom you sent the message – not everyone in your “friends” list along with their friends. As expected, the attractiveness of messaging apps has already resulted in product development and outright buyouts by companies like Facebook, Apple (NASDAQ: AAPL) and Google (NASDAQ: GOOG). In addition to Instagram, Facebook has its own Messenger service. Apple has iMessage and Google has Hangouts. As popularity increases, the space will grow and as the ability to monetize these apps begins to be realized, the number of messaging apps, along with the variety of features they include will grow as well. Over time, of course, as with the Facebook model, older demographics will likely adopt the message app paradigm. By then, teens will have found something else. And the cycle will continue.